Retinol has become much too confusing. Once everyone started cottoning on to the fact that it is one of the few ingredients that really impacts the skin, galvanising cells to behave more youthfully and reversing damage, every skincare brand going started to release retinol – aka Vitamin A – in different guises and at different percentages and with different marketing so that many were left scratching their heads and wondering if their dose of retinol should be nightly or every other night or less frequently and whether it would make their skin fall off or have the desired effect of encouraging it to appear smoother and clearer and juicier. In my experience, being inside the industry doesn’t make it any easier. Over the years, I’ve spoken to so many skincare experts about retinol in all its various forms and was left even more confused with each different opinion. I carried all the information in my head from one retinol launch to another like a big soup of ingredients that clashed, like lentils mixed with baked beans, or kale and celery (I’m a veggie so I’m afraid my frame of reference is a bit limited, but I’m sure you get the gist). And then I spoke to the folk at Murad, who agreed with me that it had all gone quite mad, explained how their retinol youth range worked, and with whom I then embarked on a collaboration* as I found their reasoning sound and sensible in a world of beauty fads and trends – and, of course, Murad is a cosmeceutical brand with years of research and trials behind it, so their formulas are often exemplary. Here is what the trio of Retinol Youth Renewal Serum, Eye Serum, and Night Cream offer: a combination of three kinds of retinol: retinol spheres that will over the course of an evening drip feed skin Vitamin A, a retinoid that kicks in more speedily, and a third retinol designed to increase absorption, all blended with hydrating and elasticity-boosting ingredients, rendering the end result a gentle but effective retinol cocktail that comes without irritation or any of the other side effects that are sometimes touted as ‘normal’ when using retinol (my view, and that of Pam Marshall’s – listen to her on retinol, here – is that skin shouldn’t peel or have huge reactions for good results). Murad say it’s completely fine to use it nightly, and that you should effectively pick which product from the trio works best for you, but, in case you’re curious about how I incorporate it, I tend to use it twice weekly to give my skin a kick up the backside, and am partial to the serum on a freshly-cleansed face that’s been wiped with Clinisept, before bedding it in with my Exuviance Night Renewal Hydragel. 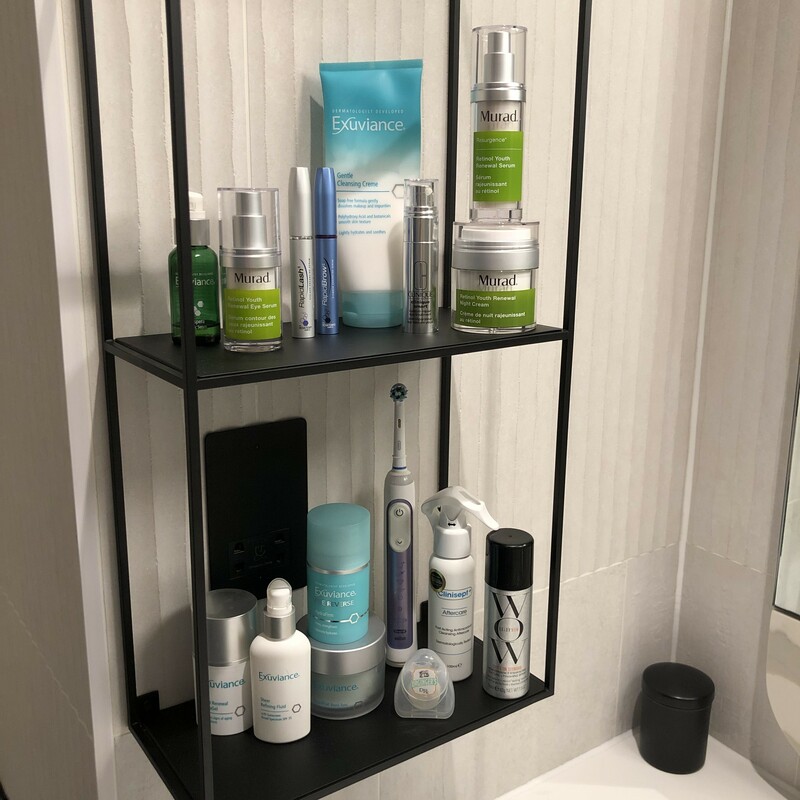 When I have the eye serum on my shelf, I use that nightly and have never experienced any irritation from it, despite the skin around my eyes being prone to redness. You need only adhere to a few rules to get the most out of this stuff. First, use it on clean skin; there’s absolutely no point in putting anything on skin that hasn’t properly been prepped. Also, use it at night, always. And don’t apply it alongside any other active ingredients, which, yes, means no vitamin C on the same evening. It should go without saying that you need to use an SPF daily, but that’s doubly true when using a retinol as it’ll exfoliate skin and render it more delicate and prone to picking up sun damage. 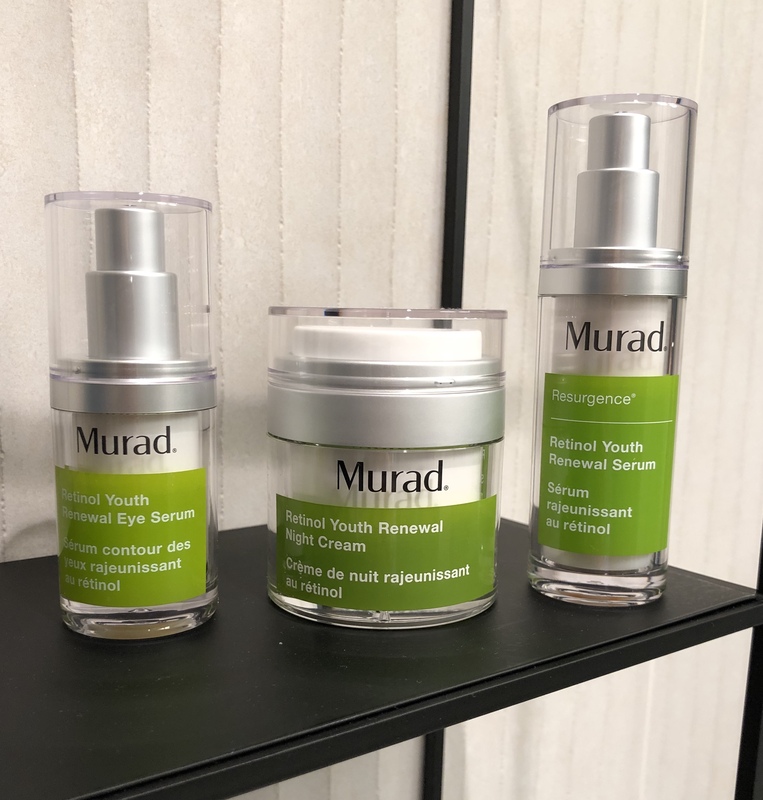 So, if you want to try one of these three, Murad have offered my readers a 15% discount on the entire Murad range including any or all of the Retinol Youth Renewal trio if you enter the code MADDIE15 at checkout over on murad.co.uk until the 5th of April. This post isn’t sponsored, but I will get a small commission if you make a purchase using my code. * I’ve stated this many a time, but I don’t undertake collaborations with brands lightly. I am well aware that we live in a world where putting faith in an ‘influencer’ is a rarity and I would never exploit the trust I’ve earned from you. I pair up with brands I really rate and always push for discounts or giveaways where possible.